Ski chalets in France are an incredibly popular choice for ski and snowboard holidays and the choice varies from an exclusively remote ‘gite’ high in the mountains to an exclusively stylish ski chalet France right next to the pistes. If you want a luxury ski chalet in France then you’ll be spoilt for choice because this is a country where ‘chic’ was invented. Luxury ski chalets in France are the haute couture of French ski resorts boasting Michelin star chefs, Laguiole cutlery and Ferra Milos seamist Egyptian cotton bed linen. France boasts some of Europe’s chic-est resorts, including Meribel, Val d’Isere and Courchevel with a choice of sumptuous luxury ski chalets ranging from the traditional ski chalet with open fireplaces reinvented to offer complete luxury including indoor swimming pool and resident masseuse to contemporary high tech luxury ski chalets designed to offer the ultimate in luxury living. Choose your French ski resort – with beginner friendly slopes or accessible powder bowls off piste or lively après vibe – and discover the great choices for catered ski chalets France as well as self catered ski chalets in France. Chalet 1788 run by Alikats Mountain Holidays sleeps 10-12 people in 5 bedrooms was originally built in 1788 by one of Morzine’s founding families and it combines modern luxuries with beautiful original features. It’s in a great location just 50m from the bus stop taking you straight to the slopes, it sleeps 10-12 people in 5 bedrooms (each named after one of Morzine’s founding families), each with their own private bathrooms. The Chalet comes with a brand new wellness area with sauna & outdoor hot-tub. The Chalet Snow Chic situated 200m from the Nyon lift is one of the most popular of the catered chalets Morzine coming complete with hot tub and mountain view terrace. Morzine chalets have plenty to offer for skiers and snowboards, especially taking in the vast ski area offered combined with Avoriaz. There are Morzine catered chalets in the centre, near lifts and further out of town. The Neige et Roc is also a favourite among the chalets in Morzine. It’s located in Les Prodains at the foot of the cable car in Avoriaz. This catered chalet in Morzine offers skiing right to the door plus, a heated outdoor swimming pool, hot tub and massages. The popular resort of Meribel is in the centre of the Trois Vallées (Three Valleys). Ski chalets in Meribel benefit from the biggest lift network in the world, offering a vast area and choice for skiing with 600km of pistes. Although purpose-built, there are no high rise developments with all buildings adhering to chalet-style architecture so perfect ski chalets in Meribel are not hard to find. The resort is famed for its picturesque wooden chalets and friendly family atmosphere with Meribel chalets among the most sought-after in the Alps. The five star Le Kaila is a luxury catered chalet in Meribel, located with direct access to the ski slopes. It has an on-site bar and a Michelin star restaurant. It has 22 verified reviews on booking.com with an incredible score of 9.2. Just over 5km from Meribel town, there’s Le Chalet, a popular Meribel chalet located in the heart of Saint-Martin-de-Belleville only 200m from the Platter Ski Lift, one of the luxury chalets in Meribel with its own private indoor pool and spa. If you stay in a Tignes chalet, you can ski or snowboard in Tignes all year with the Grande Motte glacier boasting 20km of ski area. Tignes is at 2100m, which means good snow coverage in resort throughout the winter with the vast ski area of Espace Killy combined with Val d’Isere to give you 300km of trails with 153 runs and a snow park that’s second to none. Many a Tignes chalet company offers chalet accommodation and you’ll find a catered chalet in Tignes from many tour operators. Even though most of the resort is purpose-built, there is Tignes-les-Brevieres: a renovated old village at the lowest point of the slopes for more traditional chalets in Tignes. Here’s where you’ll find Chalet Le Bullou Small Wonders – 9 km from the centre of Tignes and 100 m from the ski slopes. It offers chalet-style living with balconies and stunning mountain views. Like Meribel and Courchevel, the resort of Val Thorens is in the Trois Vallées and at 2300m is the highest in Europe, which means great skiing from November to May. If you’re choosing a ski holiday in a Val Thorens chalet, then chances are you’ll have a room or two with a view, as this purpose-built resort is at the head of the Belleville Valley surrounded by dramatic mountain peaks. There are fewer actual chalets in Val Thorens because it has a less traditional French chalet style with holiday apartments and hotels. But, a chalet in Val Thorens, such as Les Chalets de Rosael, offers chalet-style apartments with mountain views at the foot of the Val Thorens ski slopes, 600m from the resort centre. 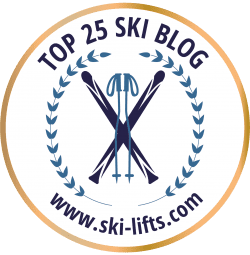 Chalets in Val d’Isere offer a beautiful location for a ski holiday in the Tarantaise Valley in South Eastern France with the whole of the Killy Espace ski area named after Olympic champion Jean-Claude Killy, who grey up in Val d’Isere. If you’re looking for Val d’Isere chalets look no further than Chardons Amelie. This chalet Val d’Isere has a hot tub on the balcony to soak up the amazing views, located in La Fornet just 100m from the cable car. La Tania, developed for the Albertville Winter Olympics in 1992, is the little sister of Courchevel, Val Thorens and Meribel in the Trois Vallées, much loved for its traffic-free village feel, with numerous chalets nestling in the forest. One of the most popular is the La Tania chalet called Chalet Orchis, with a mountain view balcony situated only 100m from the Gros Murger and Troika lifts. Chalets in Courchevel, which is part of the Trois Vallées, can be found in any of the three towns – Le Praz at 1300, Courchevel 1550, Moriond (or Courchevel 1650) and the highest and high-end in terms of accommodation, Courchevel 1850. This town is known as the St Tropez of ski resorts. Situated in Courchevel Belvédère, Chalet Chamois is a ski-in ski-out Courchevel chalet with a sauna and an outdoor hot tub with views of the pistes. The property is 300m from Courchevel 1650 Ski School and features dedicated staff including a chef, housekeeper, butler and driver. One of the oldest ski resorts in France (Chamonix was the site of the first Winter Olympics in 1924), this resort has spectacular views of Europe’s highest mountain peak, Mont Blanc. Chamonix is an international playground for extreme skiers seeking untracked powder bowls or après ski aficionados exploring the designer shops and bars. So many chalets in Chamonix enjoy amazing mountain views. Located just a six-minute walk from the Aiguille du Midi ski lift in Chamonix, Chalet Le Prieuré is a Chamonix chalet with south-facing rooms, some of them facing Mont Blanc. All the rooms at Le Prieuré have a typical chalet-style decor with your own balcony to enjoy a view of Mont Blanc or Aiguille Verte. Staying in a chalet in Les Gets (a traditional family resort) you have all the advantages of the vast Portes du Soleil ski area. Even when combined with just Morzine, the resort of Les Gets has around 50 lifts. The chalets in Les Gets are what give the resort its charm. A popular Les Gets chalet is The Chalet Hotel Aiguille Blanche right in the centre. With the traditional natural wood décor it includes an outdoor hot tub and a lounge with panoramic views. Part of the Portes du Soleil ski area, with links to Morzine and Let Gets, the resort of Avoriaz is purpose-built with a main attraction being that cars are not allowed. So, the sight of a horse and trap taking tourists around Avoriaz is like turning the clock back to early skiing days when ski boots were made of leather. As it is purpose-built, Avoriaz is made up of apartments, so finding an Avoriaz chalet is not like nearby Morzine and Les Gets with their more traditional architecture. But, for a more intimate hotel in Avoriaz, with chalet style décor, there’s the Hotel des Dromonts with direct access to the slopes featuring a terrace, restaurant, bar and wellness centre. One of France’s oldest ski resorts, Alpe d’Huez is also one of the largest with 249km of pistes, with the famous Tunnel and Sarenne black runs, the latter being the world’s longest, a total of 16km. Outside the bustle of the main town you’ll finder quieter chalets in Alpe d’Huez like Chalet La Maitreya in Vaujany which has a sauna, hot tub and organic pampering products. We are huge fans of the collection of resorts that make up Serre Chevalier, the Milky Way and the Southern Alps. Briancon is a stunning medieval city whilst Montgenevre straddles the Italian border with high snow-sure pistes. Quite simply there is something for everyone in the southern alps, especially for families looking for traditional, unspoilt resorts such as Chantmerle.